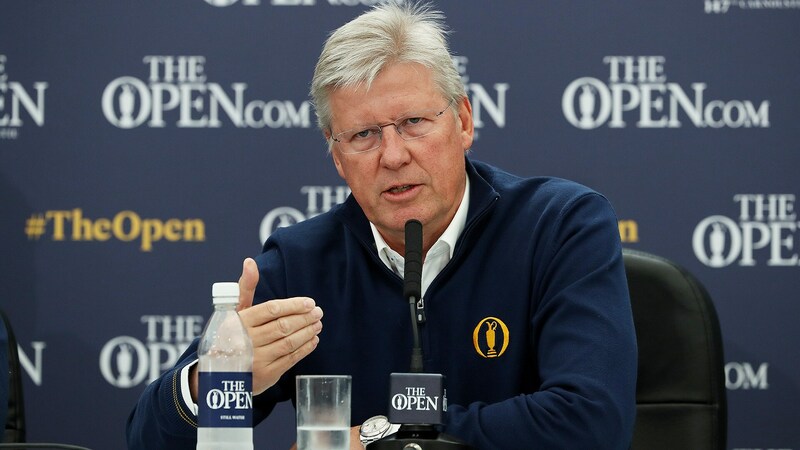 CARNOUSTIE, Scotland – R&A chief executive Martin Slumbers said that Phil Mickelson’s controversial penalty at the U.S. Open was not “good for the game,” but he did not say explicitly whether the ruling would have been any different at The Open. Speaking Wednesday at his annual address, Slumbers said that he spoke with Mickelson last week about the incident. At Shinnecock Hills, Mickelson hit a moving ball in the third round but was not disqualified for a breach of etiquette. Instead, he received a two-shot penalty under Rule 14-5. Rule 1-2, which includes a clause for disqualification, was not used because the infraction is covered under another rule.